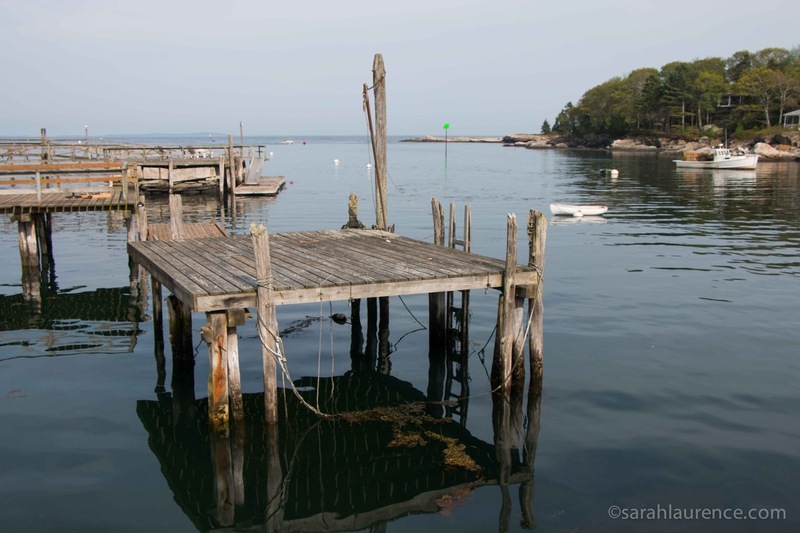 My love for Maine islands and harbor towns inspired me to write a contemporary young adult novel about a mainland girl and an island lobster fisherman. With my manuscript shipped out to literary agents, I'm feeling nostalgic. Two years ago, I rented a boat house apartment on Monhegan Island to gather offseason material for my work-in-progress. It's a long journey to publication, and I'm not yet anchored. 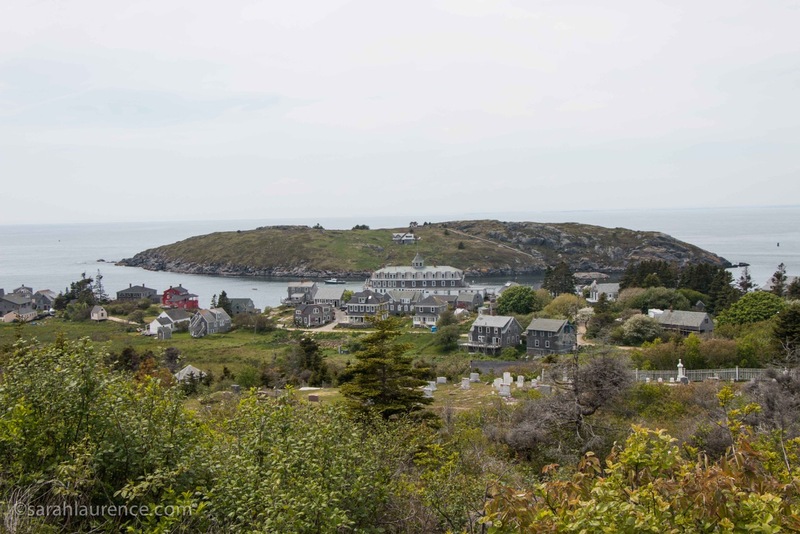 When my kids came home from college with a friend, they wanted to show her Monhegan. The ferry leaves from New Harbor, an hour drive up the coast from us. My fictional Port George was modeled on this working harbor with a bit of Port Clyde and Brunswick added to the mix. 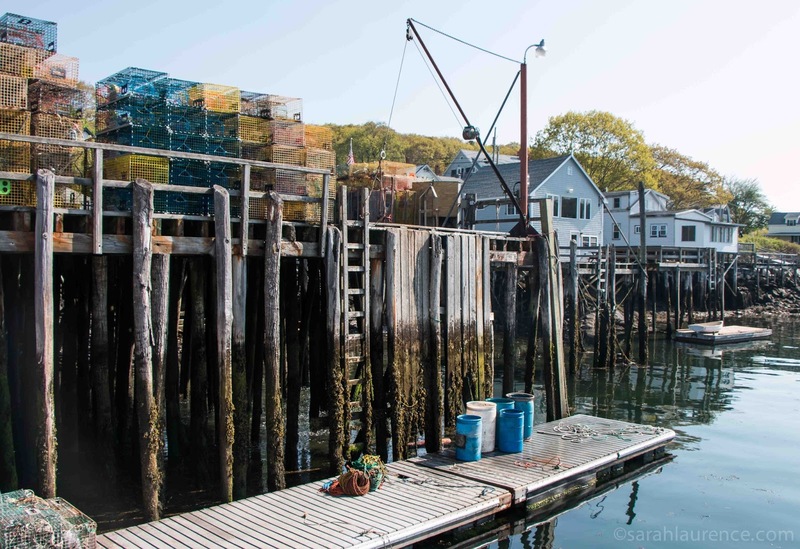 The floating dock rises and sinks with the tide, making it easier for the lobster fishermen to unload their catch. 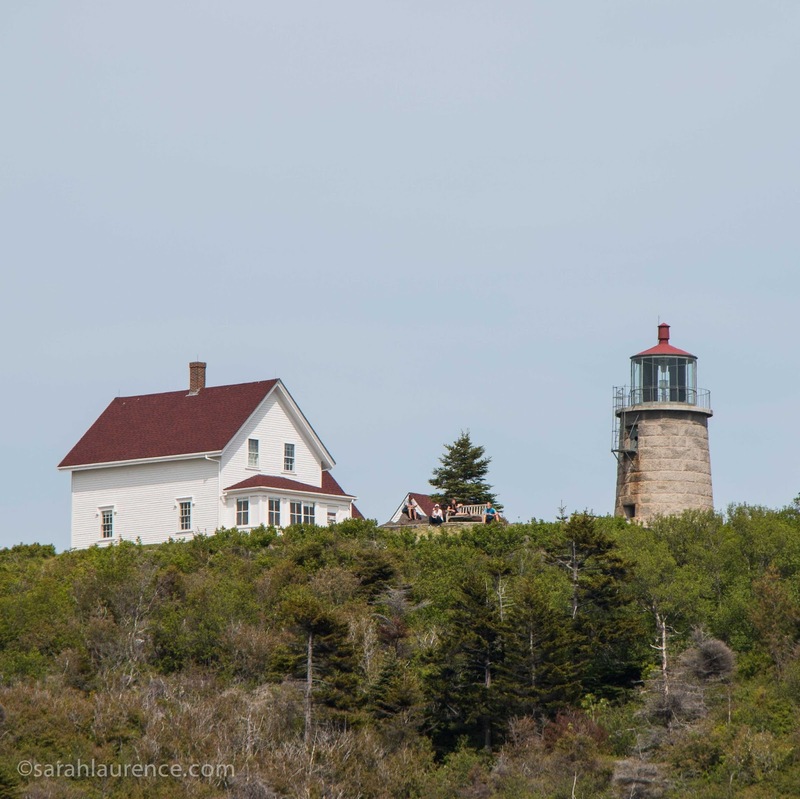 The only way to reach Monhegan is by boat. It's ten miles out to sea and too small for a airport. 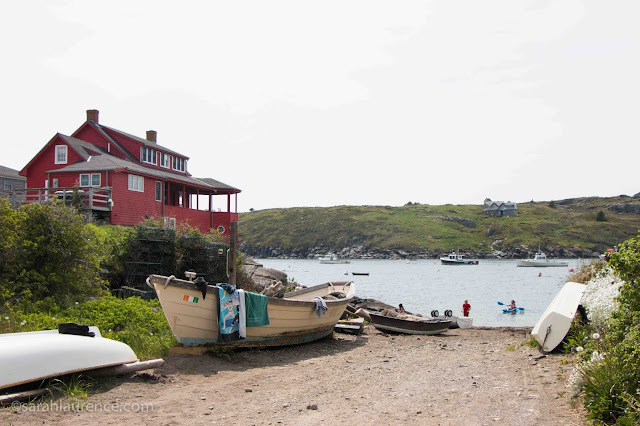 Just 42 people live year round on the island. I increased the population to 200 for my fictional island because I needed more teenage characters. The largest building is a hotel. Tourist season starts Memorial Weekend and winds down around Columbus Day. Monhegan is a rustic place to vacation, but people like us keep returning for more. 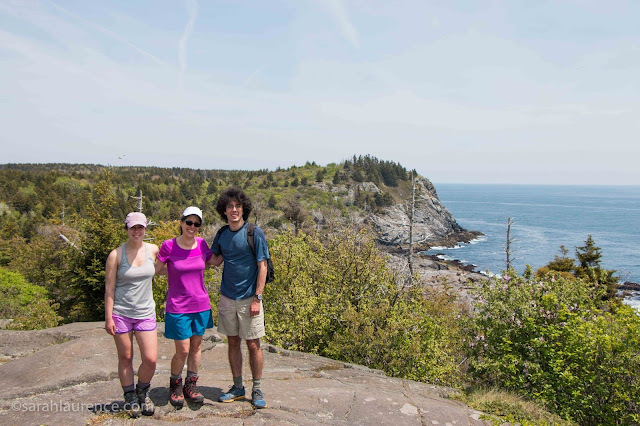 In the shoulder season, most visitors are birders tracking migrations (plus one nosy writer researching her novel). 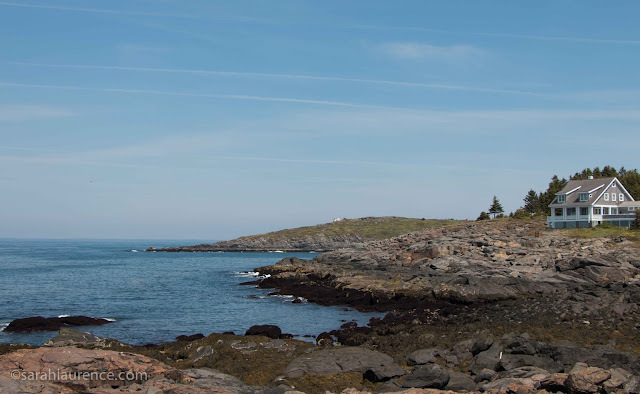 Jamie Wyeth's house was the inspiration for my character's home; it's my dream house too. Monhegan has 12 miles of trails, scrambling up and down the cliffs and meandering through the woods. This time I was retracing my character's footsteps, remembering lines with a satisfied smile. It was quite a workout keeping up with my fit kids but worth it for the stunning view. After several hours of hiking, we rewarded ourselves with homebrewed root beer for the girls, stout for my son, and Quad British style ale for me. 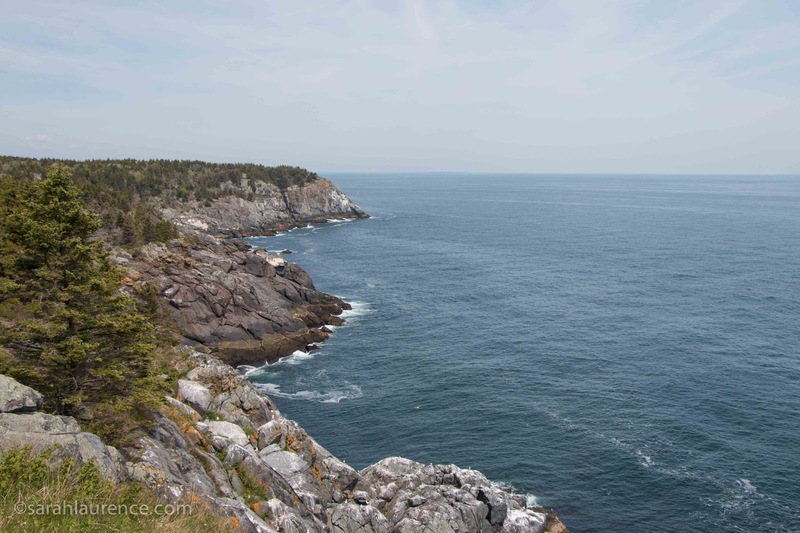 Monhegan Brewing Co also brews an excellent ginger beer for those who feel seasick. The co-owner of the brewery hauls lobsters too; Matt answered many questions for my novel. 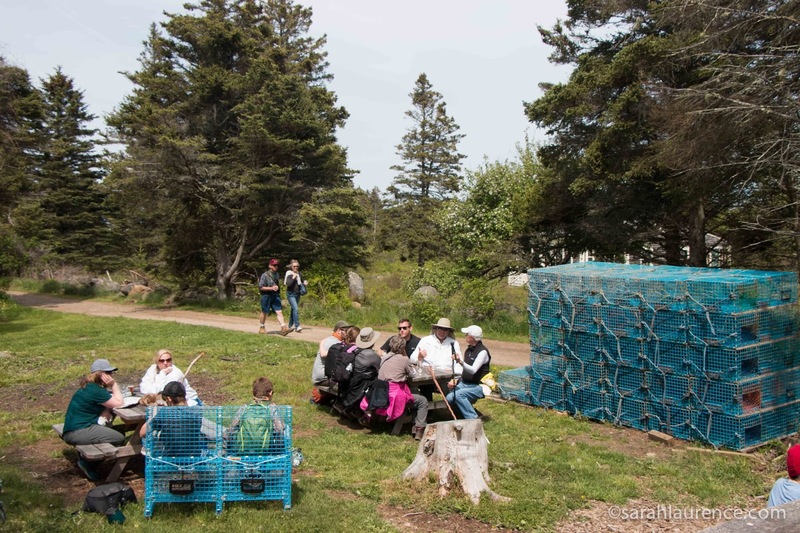 He was busy stacking traps in the beer garden at the close of the island lobster fishing season. It was now time for the lobsters and us to migrate back to the mainland. On the ferry ride back, the captain pointed out a bald eagle and I spotted a pod of harbor porpoises. What a perfect day! Lovely! I remember when I was a teen I read a series about teenagers living on a Maine island that was touristy in summer and sleepy the rest of the year. Beautiful photos, as always, Sarah. It was fun to cross paths with you guys out there again! You look like the sister, not the mom! Wishing you best of luck with the book as you send your ms out to lit agents. What a beautiful place. It's interesting to read about how exactly an author uses and researches actual places to incorporate into their story. I'll be excited to read your novel when it comes out. Wonderful post & photos Sarah! Thanks for sharing. Quite a great setting for a novel! How long does the ferry take to get to the island? Would love to buy your novel once it comes out. Cheers. All, thanks! I'm thrilled to hear that I have readers if it gets published. I do need all the luck I can get. Cue, the ferry takes an hour.